I was looking at this cool Thayer Street Tour there the other day. - The Pizza Grille was open for like, what, a month or two? (too bad, it was great and cheap). - Cafe Java is gone (no loss there). A chinese place is opening instead? - A West Indian clothing store (??!!??) is replacing the College Hill Bookstore? - Something new is being built in the storefront along Angell next to Smoothie King. That closed? That was supposed to be like the flagship of their national chain. Oh well. I went in once, it was pretty good, but the whole experience was just odd to me for some reason. The video store is closing (Edsas?). I don't really get what's going on up there. The rents are high so places are closing, but a place like the Gap that can afford the rent is closing because the amount of business they need isn't there. Do these landlords have people lined up to pay these rents. In Your Ear is still for lease, it wasn't like they had someone waiting to come in. The fact that they can charge high rents makes me hopeful that the place won't be decimated, that there remains a demand, but that doesn't seem apparent from what is happening currently. encouragement you gave us these past few months. news of our new locations. The new gourmet pizza place near Totilla Flats on Hope, while expensive (and likely spelling their doom in that neighborhood), is fantastic. Best pizza in Providence in my opinion (I think Providence pizza is grossly overrated as a whole and, save for Caserta, fairly expensive for what you get... My runner up for best is Fellini's). Out of curiousity, do you have any idea what is going in next to Smoothie King? On Angell? Nope, the sign on the building used to be an asian place, thai or something. I don't know if the same place is reopening, or if it is something new. I think whatever it is, it'll be a full service restaurant. I only ever went into the Gap once, and they didn't have what I wanted and sent me to the mall. So how is the neighborhood by Hope? The area in the immediate vecinity of the Whole Foods strip? Right near Whole Foods and Miriam Hospital is not so good. But areas along Hope Street itself aren't too bad, if a bit suburbanish. I was up on Thayer Street for the first time in a few weeks yesterday, I saw that the Gap is becoming a City Sports. Seems like a good fit for the area, and if we must have a chain store, I like that it is a New England based chain, they are headquartered in Willmington, MA, this will be their first Rhode Island store. - Cafe Java is gone (no loss there). I'm bummed to hear Max's is closed. I just went there for the first time this fall. Enjoyed a redsox game there. Hope the falafel place doesnt go anywhere. Its bad enough we lost In Your Ear. If we lose falafels... well... i'll just have to hang out at the gap. i'll just have to hang out at the gap. i mean... johnny rockets? ha! The Doyle Street area has probably the best potential for renewal in Providence, next to Broadway.. Lower Doyle has some great turn of 1900s houses, that are just begging to be done over.. There are plenty of people who live around Doyle and like it plenty. But rents/prop values/taxes are increasing, as Mount Hope is the next obvious spot for renewal/gentrification. And a lot of them are the same people/families who were renewed out of Fox Point decades ago. It would be nice to see some affordable mixed use developments created along North Main Street where the strip malls are under-occupied. Looks like affordable housing, like an army of run down grey houses... Too bad..
"Affordable" housing does not necessarily equal low-quality housing. I think in many cases the market-rate folks have the low-quality part of the equation down pat. I'd love to post some photos up here to illustrate, but haven't yet figured out how to post images directly...Is this even possible? You need a place to host your images online, see this thread for more information. I use Photobucket for my image hosting. If you have highspeed internet through Cox they provide a limited amount of free space for their customers, I can let you know how to access it. all that i've read, including some great discussions on Providence. the East Side is too expensive, so I'm looking for other ideas. I always say Federal Hill, because I live on Federal Hill and I love it. One of our members The Ank (I think) has bought some properties on Federal Hill/West Side. I think $300k would go quite a ways in Providence. You could get something move in ready for that, or you could buy a good sized (multi-family) fixer upper and get a good return. We've had a number of people looking to move here, so I started a new thread where people can ask us locals some questions. Thinking about moving to Providence? I agree with the suggestion for Federal Hill/West Side. 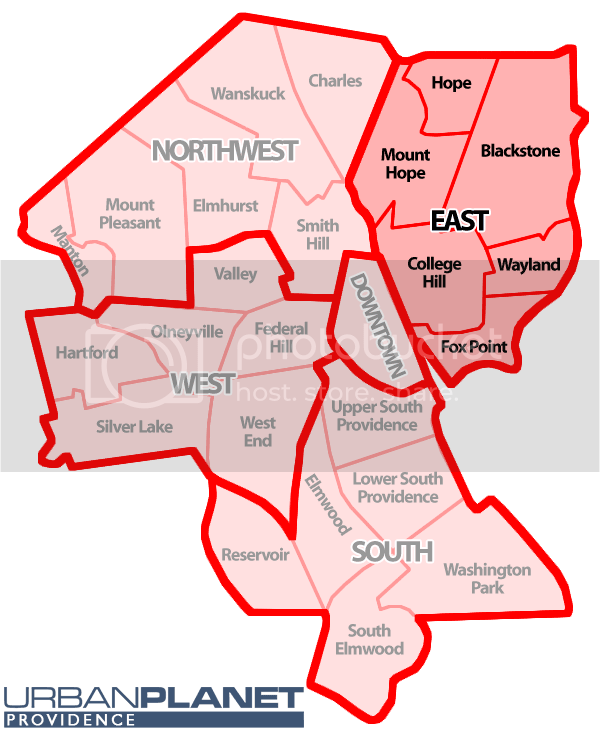 However, with prices going up there, nice places to look next would be Pawtucket and East Providence. Those two towns are still dirt cheap even compared to Providence, and they're arguably "where it'll be at" if prices keep escalating here.